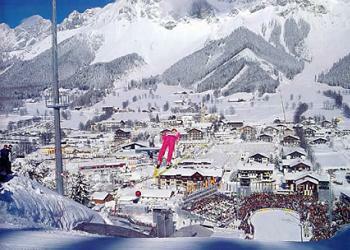 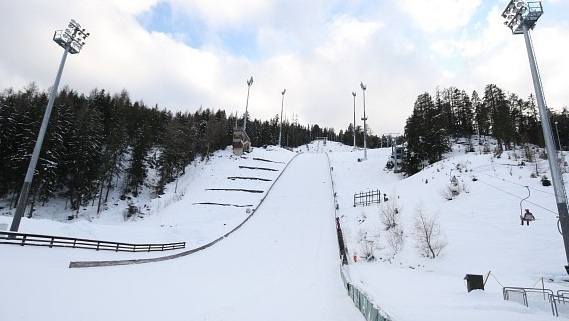 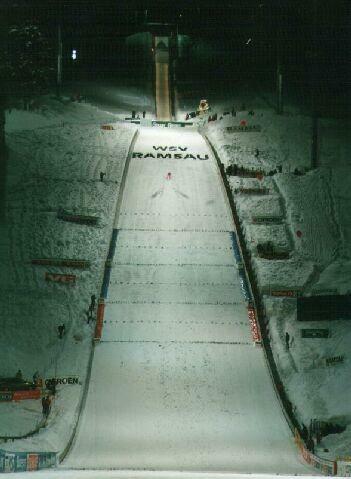 Already in 1995 the especially for the WSC 1999 constructed ski jumping hill at Ramsau on Dachstein was finished. 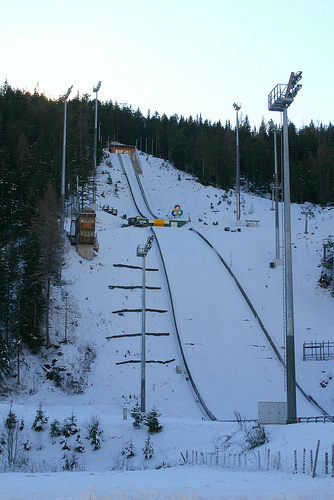 The only WC competition was then held on 1998-01-11 and one year later Kazuyoshi Funaki became normal hill ski jumping world champion. 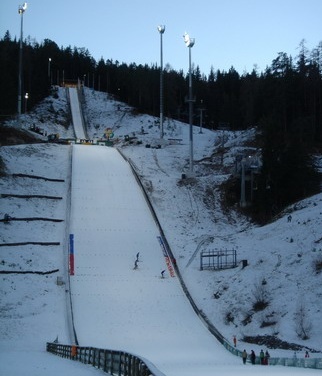 Surprisingly at both competitions three Japanese jumpers were in front. 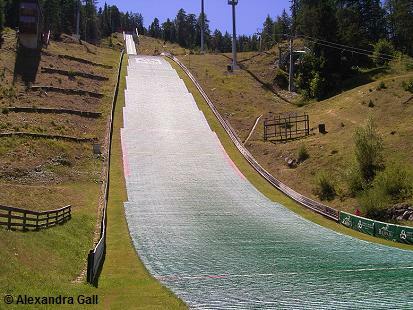 Both Minzelhofschanzen are located directly beside the WSC normal hill and are used for the education of young ski jumpers and Nordic Combined. 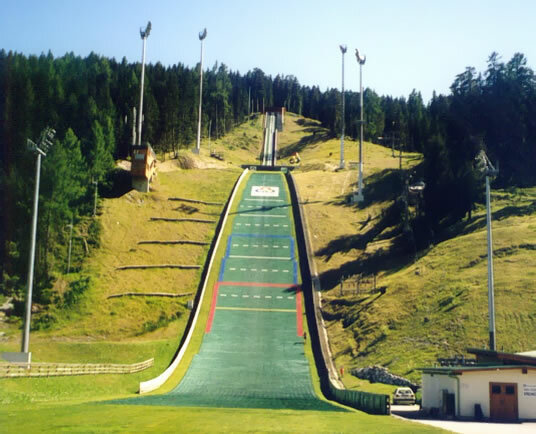 Ramsau Center, which had been renewed for the Nordic World Championships 1999, is at the food of the Dachstein and is one of the most extraordinary and most impressing landscapes in Austria. 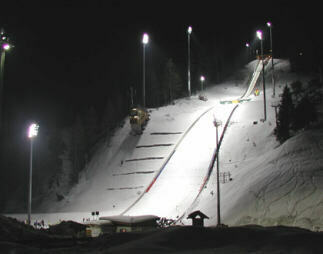 The Event-Centre can be reached over the federal street from Schladming to Ramsau (about 7 km). 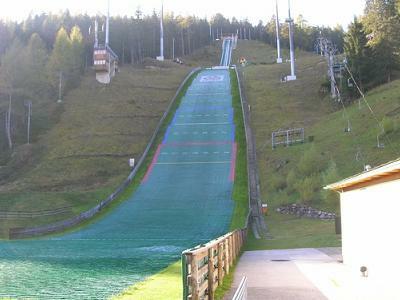 Next to it is the WC ski jumping stadium and the public swimming pool. 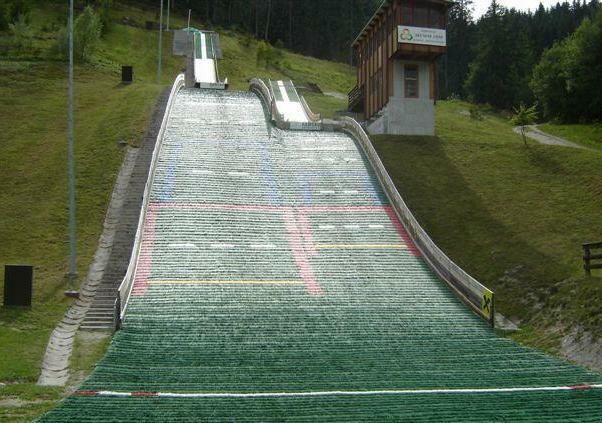 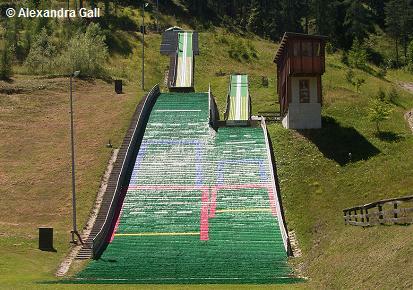 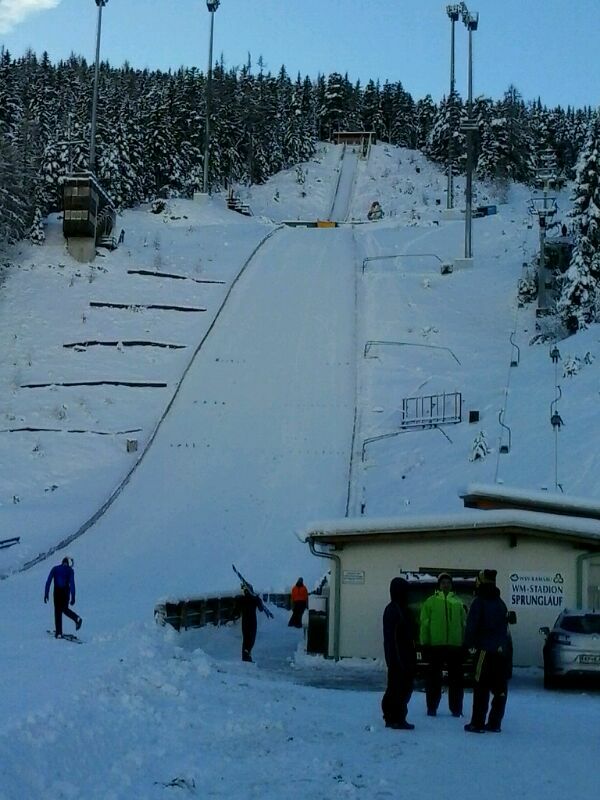 At Ramsau am Dachstein there is a new inrun test facility for ski jumpers, called "Speed Race". 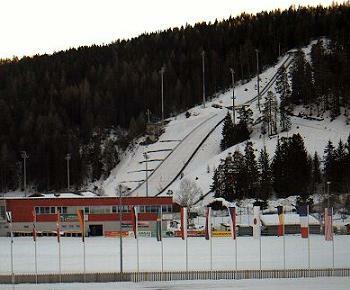 The world-novelty was recently inspected by FIS Race Director Walter Hofer. 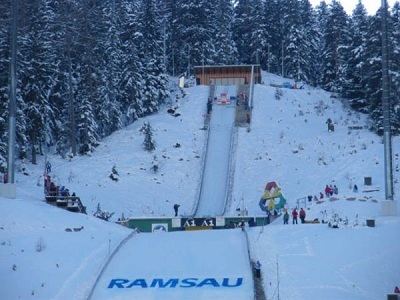 Within the fourth epsiode of our column "Luis on Ski Jumping Hill Tournament" Luis Holuch visits the ski jumping facility of Ramsau am Dachstein, which was hosting the Nordic WSC in 1998. 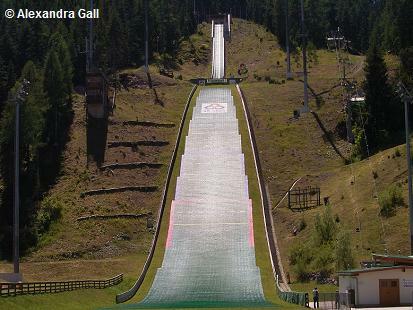 Jarl Magnus Riiber (NOR) jumped enormous 104,5 m on Sunday's canlelled round, but unfortunately fell. 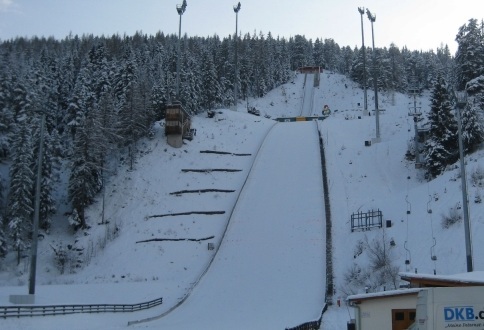 Wenn der Frauenrekord die Höchstweite auf dieser Schanze überhaupt ist und immer noch nicht als offizieller Rekord anerkannt wird, dann sollte der andere Rekord auch nur "Männerrekord" heißen. 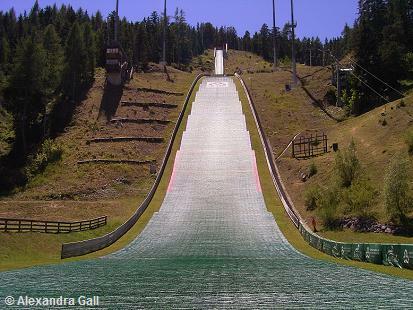 Do you have any nordic combined competitions this August, 2011? 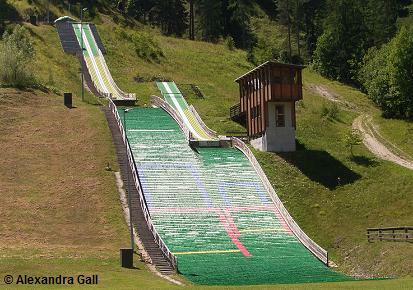 The hill record is 102.0 m by Sara Takanashi. 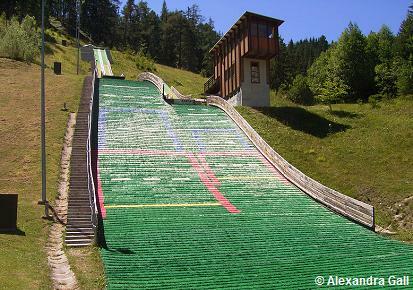 Daito Takahashi have only the "Men record" with 101.0 m : can you fix it, and restore the truth? 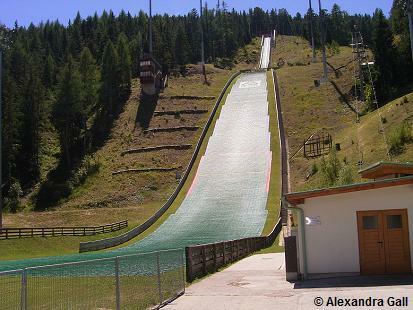 Der Frauenrekord (102,0 m), der heute von Sara Takanashi im Rahmen des COC aufgestellt wurde, ist zugleich auch der offizielle Schanzenrekord. 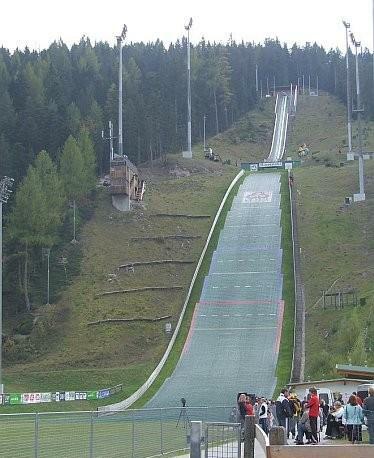 Bitte ändere dies in Deinen Daten.